I was recently responding to this question on Quora: “How does Western medicine explain acupuncture.” and wanted to share my response and to expand upon it. 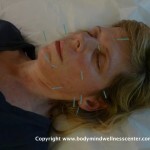 Can Western Medicine Explain How Acupunture Works? Western Medicine, or more exactly, Western Science, because Western Medicine is only sometimes Science based, may never be able to “explain” how Acupuncture works. But in a way, while potentially interesting, its almost the wrong question. What is much more interesting is enter the world of Chinese language and philosophy and find out how Chinese Medicine explains it. All systems have cultural reference points and bias. Western Science begins with Aristotle and his logic. Chinese Medicine begins with Chinese philosophy. Each has its utility, its strengths, and its weaknesses. Just like people have, and just like cultures have. One interesting thing is how differently Aristotle, Western Science, and ancient Chinese and Ayurvedic medicine catalogued living things. Ayurveda, for example, divides animals that we eat as food between the ones that grow in the dry zone the ones and the ones in the west zone. It looks at their differing effects. Chinese culture also looks at foods in terms of the effects of their tastes, like spicy hot versus cooling as a cucumber is, light and dry like a rye cracker, versus moistening and heavy like beer and pizza. What modern Science is very very good at is looking things at the micro level, so it ignores the specific effects of food, the way an orange or apple refresh or the way lamb stew warms, and simply reports the micro-nutrients, carbs, protein, vitamins, etc. It also misses the difference between fresh cooked food full of Qi and prana, and old frozen t.v. dinners, preferring to think solely about the micro-nutrients. Western Medicine looks at bodily functions in a microscopic way, too. Western science, and modern Western medicine, begins with the microscopic. All else follows. Whereas Chinese Medicine looks at the macrocosm, at what the doctor can see, hear, smell, touch, observe, ask, and also at the qualities of things in one’s life–foods, work, relationships, even love. I find that the problem of Western medicine is that because of the microscope, Western Medical Doctors seem as if they can sometimes lack common sense. For example, my patient with GERD, who also has IBS, her M.D. did every possible test on her, prescribed Zantac, and then Prilosec, but never simply asked her about her bowel movements. And this patient has severe constipation and also severe anxiety. All her tests were negative, and its pretty obvious to both me, and now to her, that her anxiety is a big part, via the Gut-Brain connection, which is well documented now, even by science (Chinese Medicine has always talked about the effects of “over-thinking” or anxiety on the gut) of her obscure gut pains, and also, given that she can’t belch, does not fart, and only has dry hard poo one time in three days, that she needs to address her anxiety and constipation, rather than just pop a pill with potentially pretty bad side affects, or additional affects. The hardest thing about learning Classical Chinese Acupuncture wasn’t memorizing acupuncture points, but learning a whole new way of seeing reality. Just as learning any new language is, but more so. Its useful to understand which bodily structures and functions are Yin and which are Yang. Staying calm under fire is cultivating Yin. Being strong and powerful is Yang. And they feed each other and are mutually dependent. When Americans overwork and are hyper-active, with out understanding the need for quietude, their hot,aggresive, dragon-like Yang consumes their Yin and they may get sick and their Yang may implode. Another piece of understanding how Classical Chinese Acupuncture works is understanding that, without a microscope, everything in nature can be described in terms of Space, Air, Fire, Water, and Earth, and that each of these elements have qualities that are represented in the body and mind of individuals. One must always adapt one’s acupuncture treatment to this unique terrain. 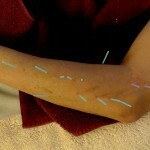 No two acupuncture treatments are ever the same because of this. If you do the same treatment on ten different people, you are really not at all doing acupuncture, you are just sticking needles into people nearly at random. The next thing was understanding what Qi is and what Qi is not. At its essence, and this is my take on it, Qi is the difference between your body right now, and your body the moment all brain function ends at death. And then Qi has qualities that are specific and predictable. Qi is warm and light and mobile. The closest thing to Qi in western physiology is the nervous system, in particular the sympathetic n.s. An angry mountain lion walks in the door, you feel terrified, but you are gonna have to fight b/c you can’t flee, and in split seconds you feel something akin to rage, and a zillion physiological changes occur. Man, that is some Qi. Anger makes the Qi rise. Fear makes the Qi descend, so you can run away. Its exactly the inability to see Macroscopic realities, btw, that so often leads western medicine to continue to follow its tradition of using drugs whose cure is worse than the disease, to be reckless and careless with drugs, while ignoring the role of diet, emotions, and lifestyle. Only 120 years ago, in Chekhov’s time, patients were fairly routinely injected with arsenic, for example. But, if my Harvard U. Health Letters are any measure, that is changing, as they keep talking about the role of meditation and exercise. Standing on one foot, you can say that acupuncture works by unblocking Qi stagnation. Where this is stasis of Qi there is pain and disease, and vice versa. This makes a lot of sense from the science standpoint, b/c what characterizes life is movement. When you are dead everything stops moving. But when you are living, but ill, normal physiological processes may be dysfunctional as sub-clinical or clinical levels. 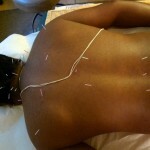 As to the Science…we know these things about what Acupuncture does. Science can measure and observe effects of acu, but that is still not explaining, in toto, how it works. e) we also know that you can turn breech babies with a single acu point, and that you can effect analgesia for performing surgery. Pretty impressive, well documented, and unlikely to be placebo….. There is only one kind of medicine, really, and its anything you do to cure disease, from shamanism and Catholic prayer to surgery and chemotherapy. Its arrogance to put one system on a pedestal. All medicine is potentially complementary, and what Chinese Medicine and Western Science since Aristotle share are empiricism. Both are based on what can be observed. But if you lose sight of the human being and just treat a disease without recognizing that diseases occur in specific human beings who are different from each other, then, you are missing the forest for the tree.